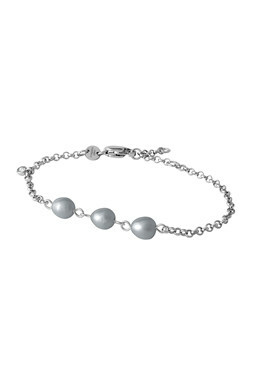 Feminine and elegant chain bracelet in a silver toned finish with a row of three grey faux-pearls. A subtle yet remarkable bracelet you wear at anytime. With lobster closure.